LIGHT, BRIGHT AND IMMACULATELY MAINTAINED 2 BEDROOM, 2 BATHROOM HOME THAT IS BEING SOLD COMPLETELY FURNISHED! Grab your suitcase and move in immediately to this lovely home featuring a large Florida room filled with natural light, a trendy kitchen with bright cabinetry and beautiful back splash, a spacious living room with views of your front yard, a nice sized guest bedroom, luxurious bathrooms, and a wonderful master bedroom with walk in closet! This home is set up for South West Florida Living! The property includes 3 lots so you have almost half an acre of land to use! 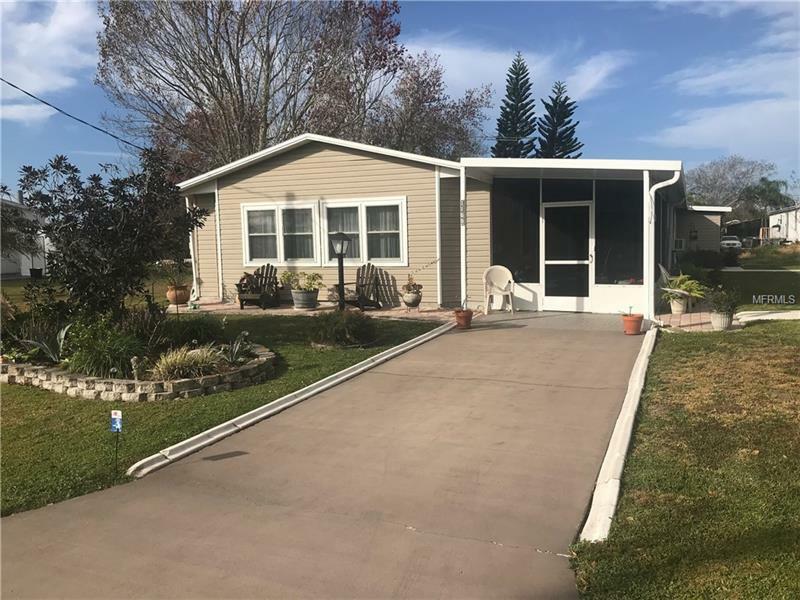 Extra amenities include an inside utility room, upgraded windows, a back storage room, a rear lanai, and over-sized carport for space up to 3 vehicles! The seller has truly loved this place and kept it in exceptional condition! The home is being sold completely furnished and the furniture is clean and expensive! Location couldn't be better as you are close to schools, shopping and local restaurants! Book your private tour today!